You can never be sure as to what winter is cooking up. You may arrive at work, walking through the parking lot, basking in the relative warmth and cloudless blue skies that seem uncharacteristic for a December day. But when your shift is over and you walk out the door, the world now looks like a snowglobe, where howling winds and a cold breeze blow right through you. Winter likes to tease us all. Along with such rapid shifts in temperature and precipitation, winter often brings about sudden changes in road conditions, many of which are potentially dangerous. The result are roadways filled with stunned, nervous and ill-prepared drivers scrambling to get from point A to B. That’s why snowstorms are often synonymous with multiple pileups and lane closures. With that said, there are some road conditions to familiarize yourself with before hitting the highways this season. 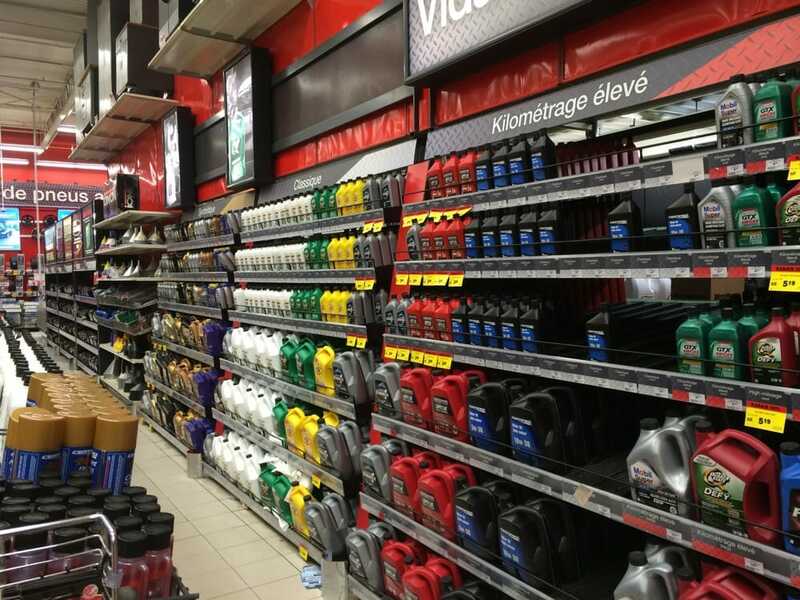 It’s a task that should come along with prepping your car for winter driving. Taking the initiative makes all the difference when it comes to staying safe. 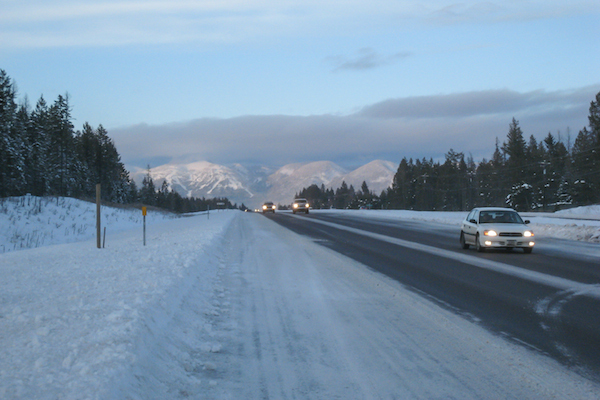 The most recognizable road condition seen in active winter weather are snow covered surfaces. There are two designations here – partly snow covered and snow covered. If you’re tagging along a road that’s just partly covered, there are two wheels spinning on loose snow, while the other two are on bare road. If you’re cruising along a road that’s snow covered, however, all wheels are treading on loose snow. As you can see, the road is completely coated with snow. Such a sight is great for photography and kids who love throwing snowballs, but it is problematic for you as a driver. Even with snow tires slapped on your vehicle, there’s still a risk for slips and skids (especially if there’s ice beneath it), and these mishaps are one of the biggest contributors of car accidents during winter. This section of highway pictured above is partially covered with snow. Although you can actually see the road surface here, the snow patches sitting on the asphalt can still make your drive slippery. 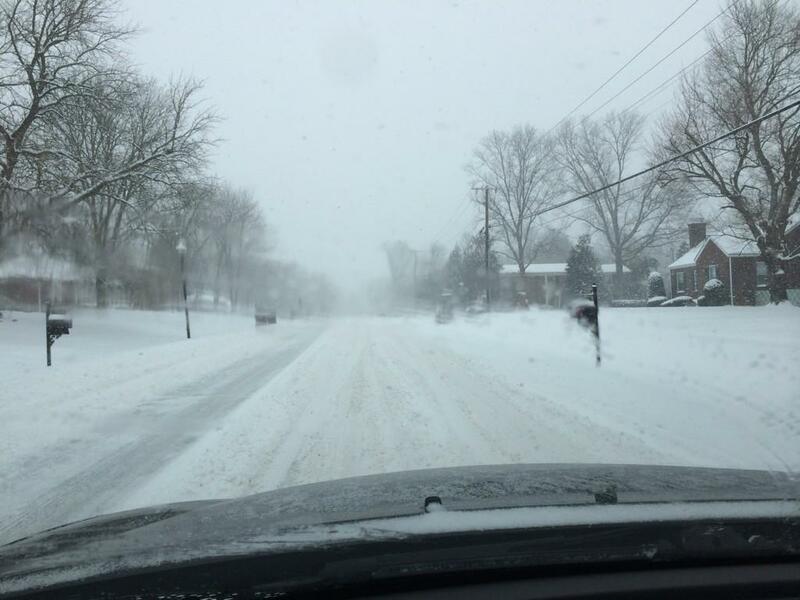 These conditions can actually be more deceptive than fully snow covered roads. The appearance of less snow might give the impression that you’ll have better traction, even though it can be just as slippery as a completely snow covered surface (especially if there’s hidden ice). In addition to snow covered roads and partly covered roads, there are partly packed and snow packed roads. Visually, you might not notice a difference between the “covered” and “packed” surfaces. However, the difference between the two is the way in which the snow coats these roads. Snow covered/partly covered roads are laden with loose snow – which is usually freshly fallen flakes that looks powdery. On the other hand, packed snow is “older” snow that has remained on the ground for a while and likely frozen over, which often leads to very slippery road conditions. The covered and packed distinctions can be confusing, but the categories for icy road conditions are a little clearer. Yes, a roadway can be either partly or fully covered with ice. However, the only difference between the two is that on a road partly covered with ice, only two of your wheels are on ice while the other two are on bare surface. On a road that’s labelled as “icy”, all the wheels roll on ice, making the drive riskier. 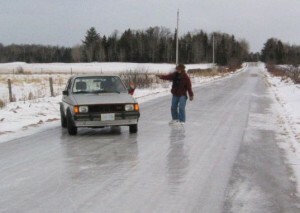 To make matters worse, there are drivers who act as if icy roads are nothing, and their reckless behaviour makes it necessary for you to practice defensive driving techniques. Generally, icy roads are fairly easy to spot, but this isn’t always the case. If you’ve had the experience of skidding on black ice, you’ll know that it wasn’t something you noticed right away. The thin, transparent nature of ice makes the road surface seem dry when it’s not, misleading motorists that the road is safe when it really isn’t. Of course, some of these roads are unmistakable. This is an extreme example of a road that’s clearly icy (not just partly covered), and would be best avoided to prevent a person from getting into an accident. It’s rare to see a road coated with such a dense layer of ice, but it is possible in freezing temperatures. The road pictured above illustrates a much more realistic case of icy conditions. Unfortunately, it is the scene of an accident. You may notice that it doesn’t look too icy, but the collision illustrates the danger of a road coated with ice so vaguely, that drivers have a hard time seeing it. Since it can be tricky to spot an icy road right away, you really should tune into the weather, especially on extremely cold days or after bouts of freezing rain. Weather it’s on TV, online or through an app, a weather report can alert you to icy roads in your area. 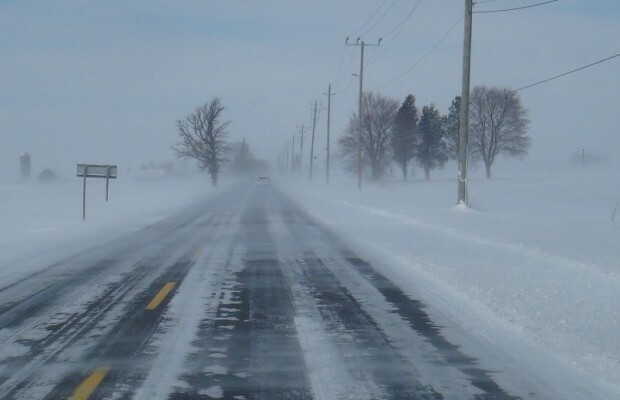 Poor visibility may actually stand as one of the worst road conditions in the winter. Snow and ice can be treacherous, but a car that’s equipped with the right tires coupled with careful driving can greatly reduce the risks associated with slippery roads. Poor visibility is a different beast altogether. You can drive with utmost caution, have blindingly bright fog lamps, tires with perfect traction, and still remain at a high risk of having an accident due to low visibility. After all, if you can barely see what’s ahead of you, your driving skills can only compensate for so much. Good visibility is described as the ability to see more than 500 meters ahead. 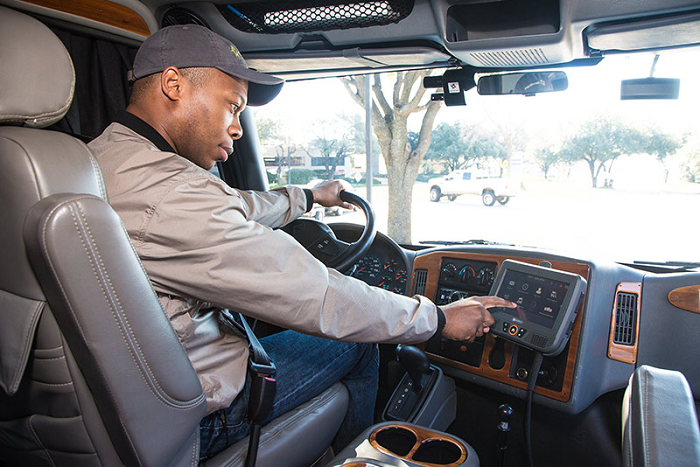 Fair visibility describes a setting where the driver can only see between 250 – 500 meters in the distance. It may look like the above. 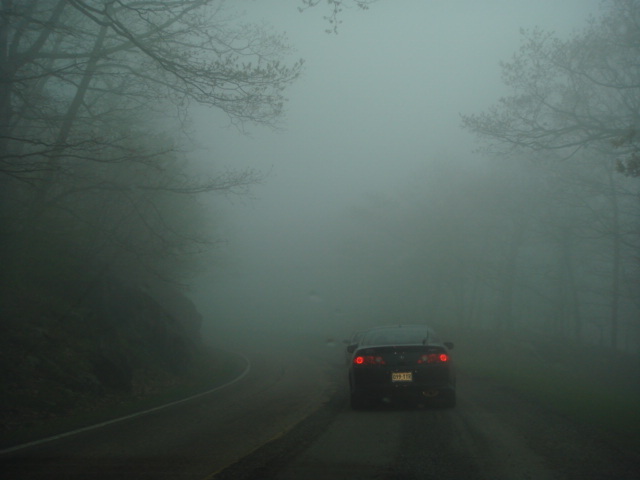 The eerie roadway pictured above is an example of poor visibility, which is designated to instances where the driver can’t see more than 250 meters ahead of them. Such conditions are clearly hazardous, no matter where and when you drive. 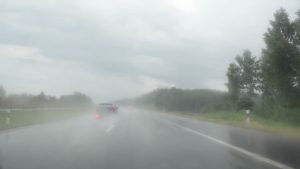 On highways, poor visibility is a danger in the presence of heavy traffic or reduced lane size due to construction. On rural roads (like the one above), drivers may not notice hidden intersections, turns or large animals (such as deer or moose) that can severely damage a vehicle. Driving through poor visibility is made worse in active winter weather, such as blizzards or freezing rain. Fortunately, there are many ways to drive safe in poor visibility. For most of you, these winter road conditions are nothing new. 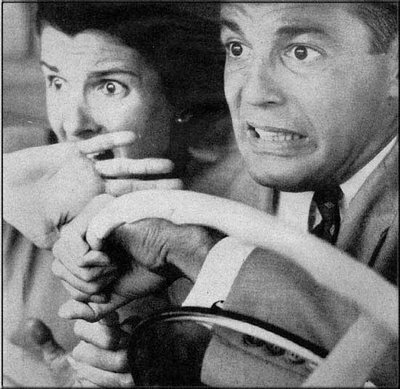 You’ve most likely driven in them before in your own car, or in the passenger seat of someone else. Yet still, there are thousands of accidents taking place in winter because of these very conditions. It’s not due to a lack of awareness or experience. Rather, it’s about preparedness and judgement. Too many people take the effects of winter too lightly, and find themselves in harrowing, even life-threatening scenarios. Make sure to familiarize with these three road conditions, so you know how to remain calm if bad weather sneaks up on you. Also, understanding the nature of these elements beforehand makes it easier for you to decide if you should venture on the roads in the first place. When it comes to winter driving, knowledge isn’t just power – it means safety as well.